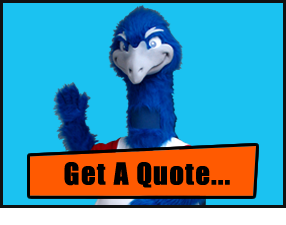 A big part of mascot marketing is to set up a successful mascot program which will elevate your mascot to new heights. 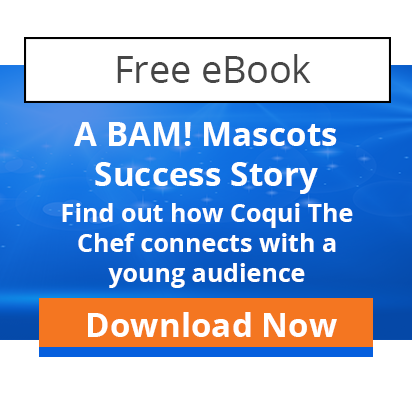 A mascot program requires some imagination and planning, but with an inventive backstory, a catchy name, a great looking mascot (you've got lots of types of mascots to choose from), and with the right performer to play the part, you’ll be able to create an identity for your mascot that will become recognized and loved by your audiences. The sky is the limit when you’re building your character’s persona and backstory! It can be as colourful as your want it to be. Your backstory will contribute to the overall quality and believability of your character. 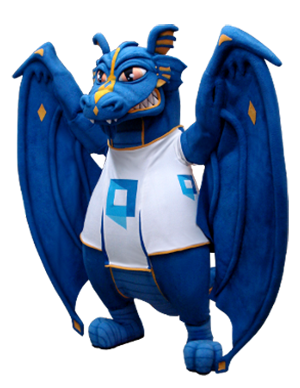 The name and story of your mascot character can be steeped in history or completely out-of-the-box creative. But one thing’s for sure – creating a backstory will help you introduce your character to your audience. It helps you create a connection and provides some additional entertainment value to your character. 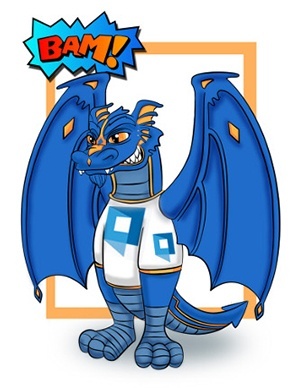 BAM Tip: Take your BAM Mascots concept drawing and introduce your mascot by running a mascot naming or story contest. This is a great way to engage your audience by getting them involved …and you’ll likely get some incredible mascot name or story options! Once you’ve built a colourful persona and backstory for your mascot character, it’s time to choose a performer to bring your character to life. The trickiest part of mascot acting is communicating through body language. Talking is often avoided because it breaks the magic and illusion of the mascot. Which is why body language is so important. When auditioning your mascot performer, look for the performer’s ability to stay true to your character’s personality through their body language. Once you have your character’s persona and backstory in place, you’ll be able to easily identify what you’re looking for in a performer. How well does your mascot actor improvise and play off audience reactions? Does your actor exaggerate the mascot character movements? How does your mascot performer represent your character? Is your mascot character clumsy and comical, or intimidating and athletic? Does your performer seem sincere ... and most importantly, can you mascot actor relate to children and make them smile? BAM Tip: Don’t forget to hire a mascot spotter! A mascot spotter will protect the performer by guiding them through crowds, talking to audience members, protecting the costume from possible damage, and helping your mascot in and out of the costume during breaks (but never in public!). Make sure your mascot performer has time to practice and to learn the persona of the mascot character. Also getting used to the mascot costume before their first performance is critical as movement can be restricted and safety is important. Then simply sit back and watch the magic happen! Learn more by checking out our gallery of BAM Mascots in Action!